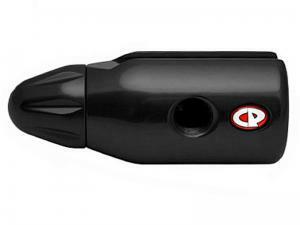 The original "system bleed" ASA from Custom Products vents the air from the lines, allowing easy tank removal. Knob turns smoothly and easily, engaging the air tank only when YOU want it to, but is secure and will not slip in the middle of a game. Fits standard or mini dovetail rails and drops.